Observation - Large ant hills - UK and Ireland. Description: The large anthills, which are scattered over the Rough, indicate that this is an ancient meadow that has been grazed and left undisturbed by the plough. 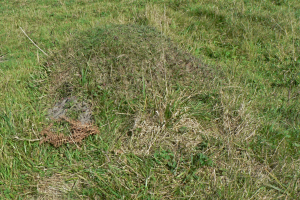 The large anthills, which are scattered over the Rough, indicate that this is an ancient meadow that has been grazed and left undisturbed by the plough.